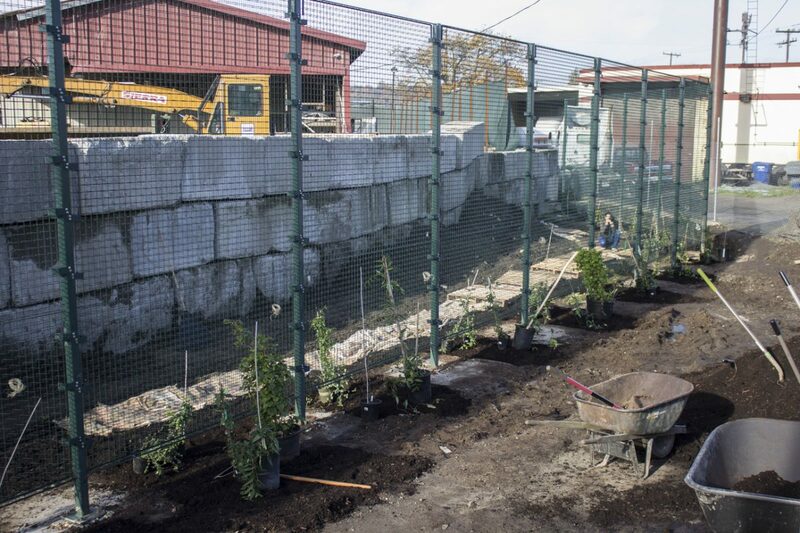 On October 22, JHA and all its wonderful partners finished building a green wall in Georgetown at CDL Recycle on East Marginal Way. Green walls are vegetated trellis systems used to filter air pollution. East Marginal Way is a heavily trafficked street and also lined with industries that contribute to exacerbating air quality. The surrounding community has the highest childhood asthma hospitalization rates in the City of Seattle and a 13 year difference in life expectancy compared to wealthier parts of the City. The community has long prioritized air pollution for action. Andrew Schiffer, a Georgetown resident, and JHA Assistant Project Manager just returned from Washington DC where he presented Green Solutions to Air Pollution at Cities Alive. Andrew talked about the community based participatory approach that was used to engage the Georgetown residents; the challenges of building the green wall; using two local “green job” groups (Duwamish Valley Youth Corps and DIRT Corps) to build the project; and tips for working in communities with environmental justice concerns. Our green wall has also been written about in the Seattle Weekly and on King 5 news. It will take about a year and a half for the vines to grow all the way in. What’s next? We are now going to build some smaller green walls in South Park, an adjacent community with similar environmental equity concerns. Vines that grow up green walls not only filter air pollution but they improve a community’s looks, reduce the urban heat effect, increase biodiversity, and create jobs. 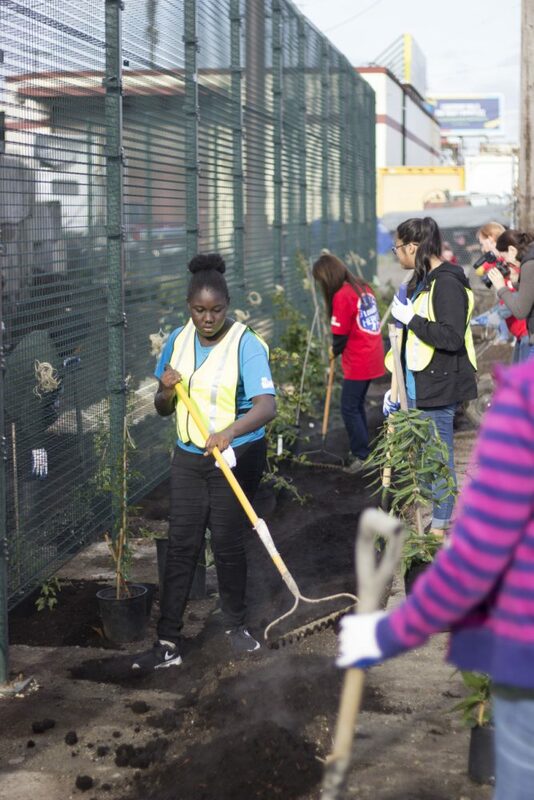 Duwamish Valley Youth Corps and DIRT Corps will be helping again. Thank you to all of our incredible partners and donations: Georgetown community, King County Wastewater Treatment Division, Duwamish River Cleanup Coalition Technical Advisory Group, CDL Recycle, Ethan Newstrum (Union carpenter), Duwamish Valley Youth Corps, Urban Systems Design DIRT Corps, Environmental Protection Agency, GreenScreen, RTB Company, Hey Duwamish, SS Landscaping, Seattle Office of Sustainability & Environment, Western Washington University, Cedar Grove Compost, Loews, and more.